I’ve heard all about you, Miss Denby. Everyone knows you have a nose for murder. Poppy Denby is intrigued when she is invited to attend the auction for the Death Mask of Nefertiti. Held on the country estate of Sir James Maddox, a famous explorer, the auction promises to be a controversial and newsworthy affair. Representatives from the world’s leading museums are gathering to bid on the mask, which was discovered in Egypt. Poppy quickly sniffs out that the mask was not the only thing found that night: the underground chamber also contained a dead body. 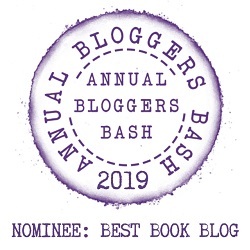 Journalist Poppy Denby is back in her fourth book in the popular Poppy Denby Investigates Series by Fiona Veitch Smith. Poppy is invited to attend the auction of Egyptian Nefertiti’s Death Mask at Winterton Hall owned by Sir James Maddox and his wife Lady Ursula. There are representatives from museums around the world attending, plus Egyptologists and members of the press. The Egyptian representatives believe the mask should be theirs and that it was stolen many years ago, but their voices are overlooked and the auction is to go ahead. However, on the day of the uncovering of the Mask one of the party dies. It is assumed they died of natural causes but of course, Poppy is not so sure and begins to investigate. She seems to be never alone though as a man in a trench coat and deer-stalker hat starts stalking her. This is the third book in the Poppy Denby series that I have read, I missed book three. I have always adored Poppy, she is a woman in the early part of the 20th century who is single and working in what was classed as a ‘man’ job. She is tough and won’t be pushed around by anyone. Not surprising really as she is related to one of the suffragettes. It was nice to also see some familiar characters as well as a few new ones too. The book opens back in 1914 in El-Amarna, Egypt with the discovery of the Death Mask and some gruesome events. We then move on to 1921 and London when the mask is coming up for auction. I found that the first chapter was engaging and full on, then it slowed down for a while until the party ascends on Winterton Hall. There are some famous names amongst the guests including Sir Arthur Conan Doyle and Harold Carter to name a couple. It was nice to mix fact with fiction. Ms. Smith has also included information at the back of the book for further reading on any of the subjects covered, plus there are book club questions too. Overall another great story to add to an already perfect series. I hope that Ms. Smith carries this series on for a long time to come. Now I just need to go back and read book three. Formerly a journalist, Fiona Veitch Smith is a writer of books, theatre plays and screenplays. Her children’s picture books, the Young David series, are now published by SPCK Publishing. Her adult mystery series set in the 1920s, Poppy Denby Investigates, is published by Lion Fiction. The first four book in the series are available now. She lives with her husband, daughter and two dogs in Newcastle upon Tyne where she lectures in media and scriptwriting at the local universities. She loves gardening, eating cheesecake, practising Pilates and playing jazz clarinet – not all at the same time. 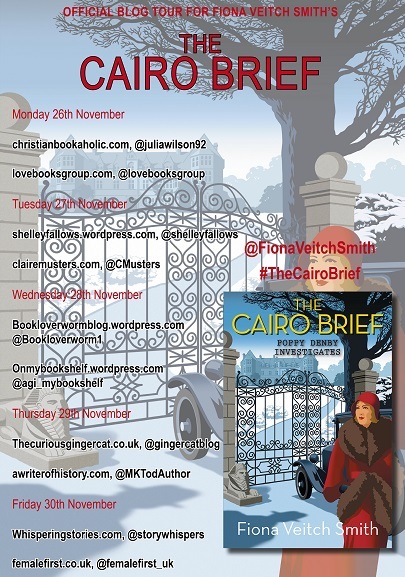 Enter the giveaway below to have a chance to win one of two paperback copies of ‘The Cairo Brief’ by Fiona Veitch Smith. Open to UK residents only. Good luck. I love historical fiction. I’ll have to see about reading the series. Pity you missed book three. Ooh, I love these kind of books. It is almost like a treasure hunt! Perfect, you should give the series a read sometime, you will probably enjoy them all. Interesting review. I entered the Giveway and will keep my fingers crossed! Thank you. Fingers are crossed for you too. Snap, wonderful. What book are you reading? I love the sound of this series. Thanks for sharing. I believe it’s a mix of historical fiction, crime and thriller. It sounds great, yet I haven’t read anything by this author so, I better check that book for a start😍. Wonderful, I hope you do and enjoy them all. Thank you. It was a lot of fun to read. I’ve never read anything about Egypt but this looks super interesting! Wonderful review! Thank you. It’s a great book. lovely review! Love reading historical fiction from time to time so this one definitely fits the bill. Especially the Egyptian elements look wonderful to read about. Thank you. If you like things about Egypt then give the book a go. Great review. Looks like a great book and series. Thank you, it really is.